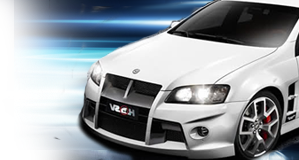 VCM Complete OTR Intakes $100 Price Drop! Thread: VCM Complete OTR Intakes $100 Price Drop! VCM has announced that their intakes will now only be available as complete kits, with the side panels and infill panels. So we have dropped the price on the complete kits from $579 to $479! Plus, order by December 31st, 2018, and get some free VCM loot. We are giving away T-shirts or camshaft bottle openers with every order, while supplies last only. One grand prize winner, announced in January, will receive a VCM cooler, bottle opener, two T-shirts, and more. I’m having a hard time finding an adapter for my G8 GT’s Magnuson TVS2300. Any suggestions on where to buy? We can get you one, but they no longer make them with the internal frame support that prevents the coupler from collapsing under vacuum. I couldn't really get an explanation as to why. So we stopped stocking them and selling them here. Makes sense why I can’t find one. Thanks for the reply.